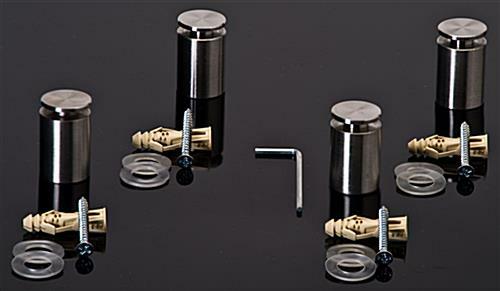 Display hanging kit comes with (4) supports, washers, screws, and anchors for quick mounting. 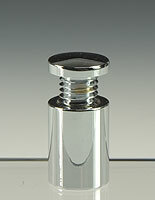 The fastener is tamperproof due to a set screw in its base that is tightened by an Allen wrench. 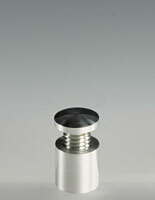 Spacer has a finish of silver to accentuate any setting. This sign mounting system connects several different panel materials to the wall. 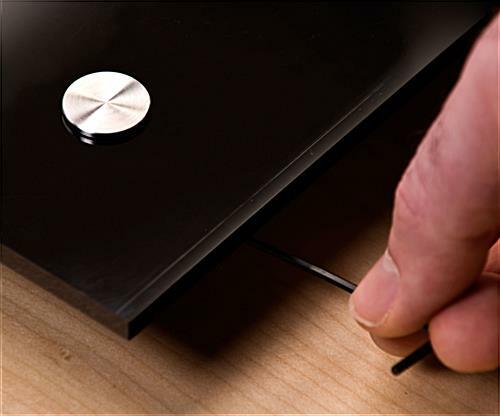 The hardware is able to space mirrors, signage, shelves, and more. Each sign mounting system that is made of stainless steel is finished in classic silver will accent signs of any color, even black. 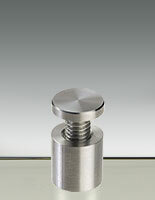 The metal design of the standoff kit is resistant to rust too. Upon shopping for an inexpensive sign mounting system, customers should consider the size of the panel the standoffs will mount. In addition, some fixings subtly accent graphics, while others become the center of attention and instantly grab the gaze of passersby. 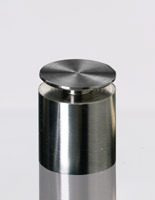 The sign mounting system features caps that are 3/4" in diameter. As a result, the hardware is able to accent large or small signage. This sign mounting system spaces panels 1" from the wall. 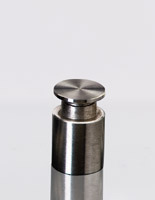 Each mount has a setscrew that secures the cap firmly within the body. 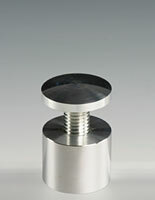 This sign mounting system includes (4) standoffs, anchors, plastic washers, and screws. 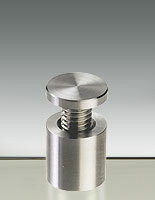 The dimensions require panels to be drilled with (4) 3/8" holes. 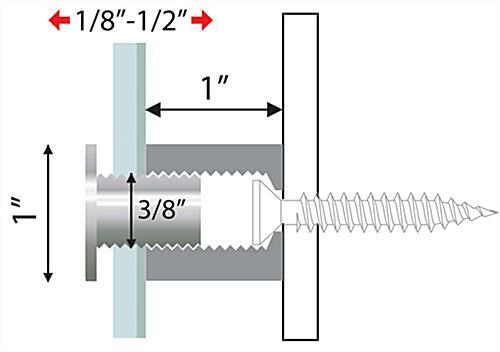 In addition, 3/8" is the maximum thickness the sign mounting system will support. However, materials must be at least 1/16" thick. The sign mounting system doesn't just enhances panels, but also adds a lovely accent to indoor locations. 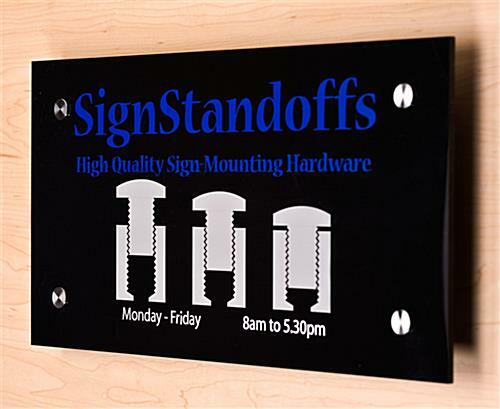 Many businesses use standoff kits for lobbies, atriums, waiting areas, and hallways to develop directional cues. No matter how the equipment is set up, it is sure to provide style, functionality, and affordability. 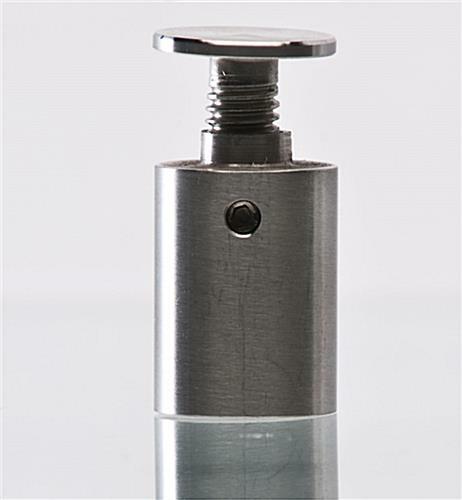 The combination of tamperproof design, stainless steel construction, and low price makes the hardware package a fantastic value!